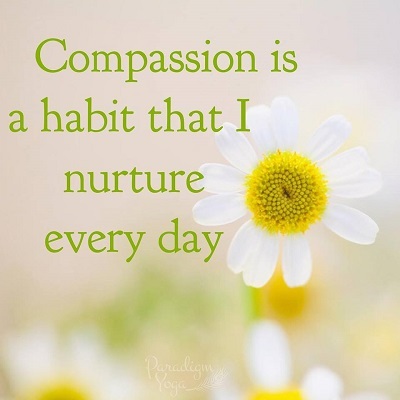 This week’s first affirmation is to encourage the daily practice of compassion. Gratitude is a beautiful counter to the negativity and harmful thoughts that can run wild in our minds! Next time you're stuck in, for example, a grocery store queue and you find yourself tapping your foot, sighing, and silently cursing the people in front of you for being so slow, notice how this affects you both physically and mentally. Who is benefitting from this internal violence? Who is harmed by this internal dialogue? Practice ahimsa by taking this time to reset and find something in that moment that you can be grateful for, whether that's a few moments of peace and quiet to plan the rest of your day, or that we're lucky enough to have amazing stores that offer us foods from all over the world and convenience beyond what some people can imagine. Meet the violent internal dialogue of impatience and anger with gratitude, and notice the weight lift from your shoulders as you step into the practice of ahimsa. We often find ourselves getting angry at ourselves or others and as a result we sometimes experience violence in our thoughts and actions. It's possible overcome some of this irritation in life, and the associated violence, by practicing compassion. We're often quick to judge and get angry at someone that cut us off in traffic but (assuming there is no accident) who is harmed by the tirade of thoughts that go through our minds? The other driver certainly isn't aware or affected by them, but we arrive at our destination angry and frustrated, and carry that energy into the meeting, meal or home that we were travelling to, affecting not only ourselves but everybody we meet for the rest of the day. We replay the event as we tell others about it, bringing up the feelings and sensations of anger over and over again. What if we met the event with compassion? When someone unknowingly pushes your buttons and the tirade of internal (or external) commentary begins, see if you can meet the moment with compassion and understanding. Rather than swirling in a whirlwind of negativity and stories that only further escalate your feelings, practice compassion and let go of the need to judge and berate. 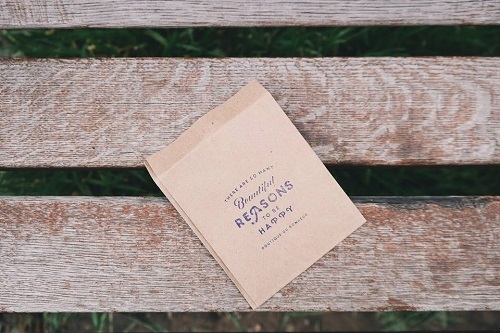 Not only will you feel the benefit of this practice, so will the person you're interacting with, and so might everyone else you encounter through the day! 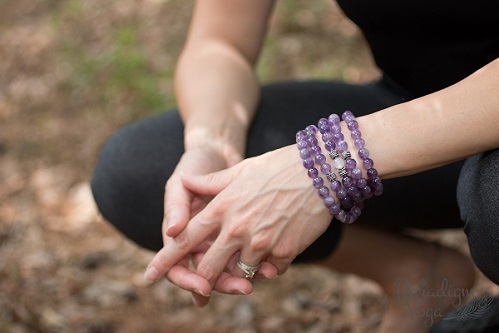 If you're struggling to find balance in your work, diet, rest, exercise, time with friends and family, or any other area, add some amethyst to your day to remind you of the practice of working towards balance. Amethyst is a powerful stone for the mind. It is believed to calm or stimulate the mind as necessary, as well as to help the wearer feel more focused and in control of their thoughts and actions. Amethyst helps in the creation of new ideas, enhancing creativity and passion, putting thought into action, and seeing projects through to completion. A gemstone to improve motivation, intuition and help with decision making and a talisman of focus and success. 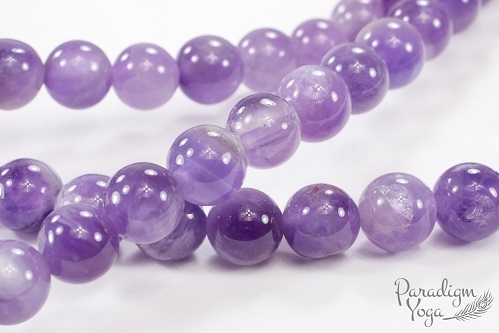 Amethyst is also believed to help with emotional balance, dispelling anger, fear and negativity. It is especially supportive for those who are stressed, overworked, or overwhelmed in bringing them back to a calm center.